UN Deputy Secretary-General Jan Eliasson has described late Tuesday the Gaza Strip as a time-bomb and occupied Jerusalem as a powder keg. In his remarks to the Committee on the Exercise of the Inalienable Rights of the Palestinian People in observance of the International Day of Solidarity with the Palestinian People, Eliasson said that the internal divisions in the West Bank add a new dimension to the paralyzing lack of Palestinian unity, which ultimately can undermine democracy and the rule of law. Two million Palestinians in Gaza are struggling with a crumbling infrastructure and a paralyzed economy, he added. 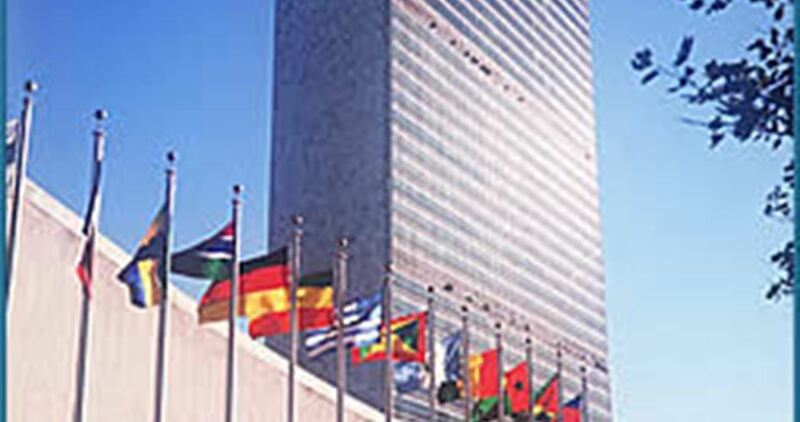 In 1977, the UN General Assembly called for the annual observance of 29 November as the International Day of Solidarity with the Palestinian People. On that day in 1947, the General Assembly adopted the 181 resolution which called for the partition of Palestine into Arab and Jewish states. 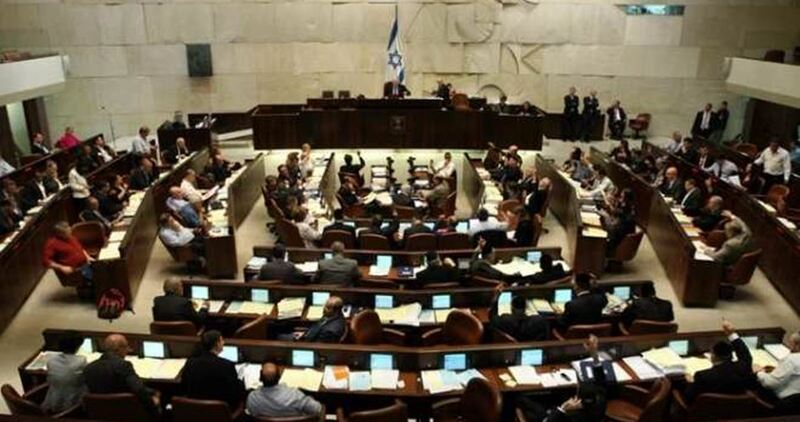 The Israeli Knesset decided Wednesday to postpone voting on Adhan ban bill till next Monday. The Arab MKs Ahmed al-Tibi and Masoud Ghanayem affirmed in separate statements that Adhan ban bill vote was postponed till next Monday. Ghanayem renewed his total rejection of the bill, considering the move a violation of the freedom of worship. On Nov. 13, the Israeli Ministerial Committee on Legislation approved the draft legislation, which calls for barring the use of loudspeakers during the Adhan, moving it to the Knesset where it is expected to go through several readings before making it into law. Palestinian leaders and several Muslim countries have criticized the proposed law as an infringement on the freedom of worship. Israeli Occupation Forces (IOF) threatened Wednesday to close the entrance to Zabouba town, west of Jenin to the north of the West Bank. Local sources told the PIC reporter that Israeli forces erected a military checkpoint at the entrance to the town and prevented people’s movement in both directions. The IOF also threatened to impose collective punishment against the residents due to "the escalated stone-throwing attacks." Due to the Israeli military restrictions, local residents were forced to take alternative roads. 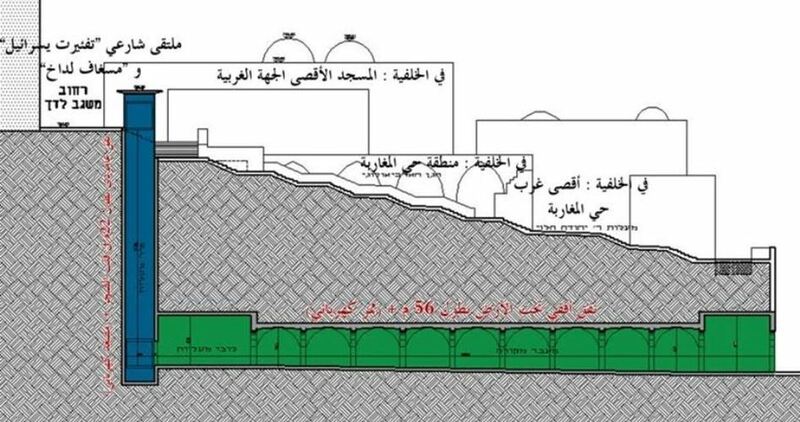 The Israeli municipality in Occupied Jerusalem okayed a plan to construct an escalator leading to the Buraq Square, near the holy al-Aqsa Mosque. 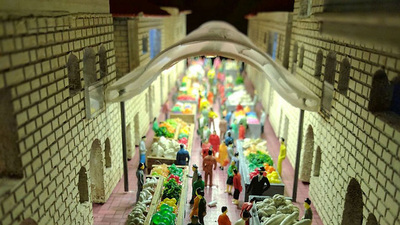 The plan includes the construction of two tunnels, one vertical the other horizontal, in order to smooth settlers’ access into al-Buraq Square. The decision was reached during a session held Monday to discuss the bid, following ten months of ongoing planning and follow-up. Construction works are expected to materialize on the ground in the near future. A vertical tunnel is to be dug at a 25-meter depth in the Buraq Square, near the so-called Wailing Wall Synagogue, on the eastern edge of al-Sharaf neighborhood. 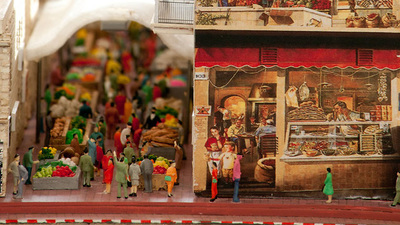 Another 60-meter long horizontal tunnel figures on the plan. The electric elevator will be set in the vertical tunnel while the horizontal tunnel will serve as a pedestrian bridge carrying Israelis to the Buraq Square. The project, which would cost $9 million, is to be called “Baruch” in honor of the Jewish businessman Baruch Klein who donated the money to get the project moving. 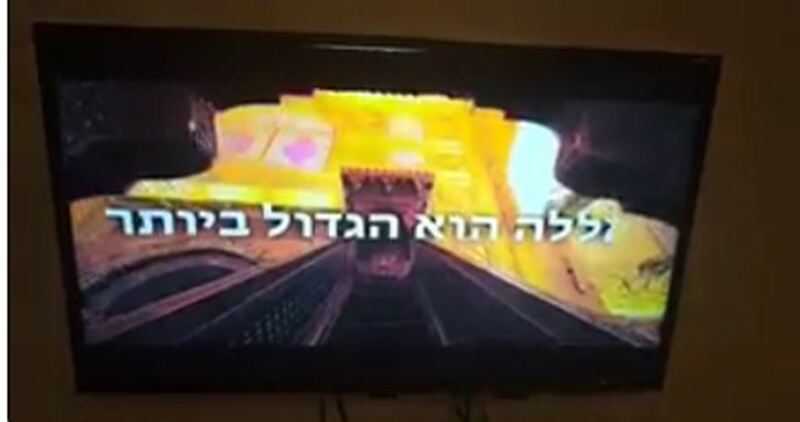 Anonymous hacktivists on Tuesday evening managed to take over the airwaves of Israel’s TV channels 2 and 10 and broadcast mosque clips accompanied by sounds of Adhan (call to prayer) and anti-Israel remarks. The hackers wanted to express their anger over Israel’s intent to enact “racist” legislation that would ban mosques from using loudspeakers to recite Adhan. The new Israeli anti-adhan bill, which could be voted into a law at the Knesset, would exclude Jews from the use of amplifiers and loudspeakers to announce rituals and activities. 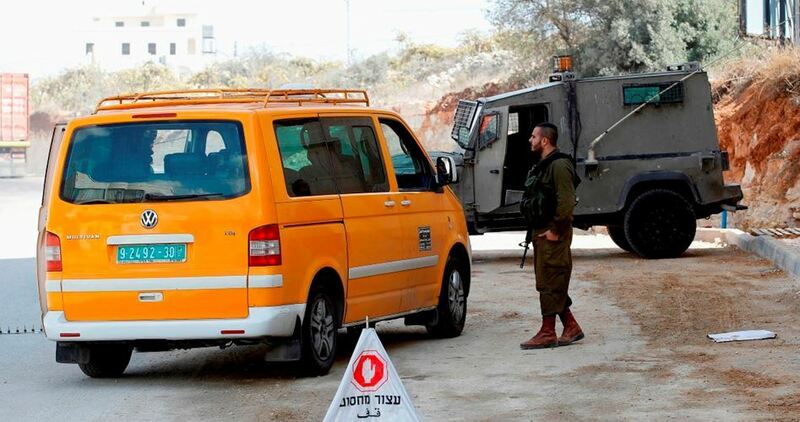 The Israeli Occupation Forces (IOF) imposed late Monday tight military restrictions in Sarda town, north of Ramallah in the central West Bank. Eyewitnesses affirmed that a military checkpoint was erected at the entrance to the town which led to a traffic jam. Palestinian movement was blocked in both directions, the sources said. 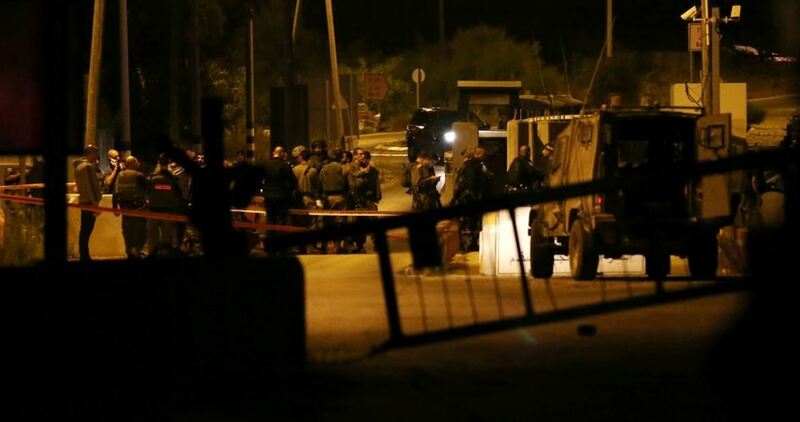 The military restrictions were imposed following an alleged shooting attack at an Israeli military checkpoint near Ofra illegal settlement, east of Ramallah. No injuries were reported during the alleged shooting attack. The Israeli occupation army has closed off the main access roads to Palestinian villages in northern Ramallah province for the second day on account of the wildfires rocking Halamish settlement. A couple of days earlier, the Israeli occupation army closed off the iron gates leading to the Palestinian villages of al-Nabi Salah, Beit Rima, and Deir Ghassana. 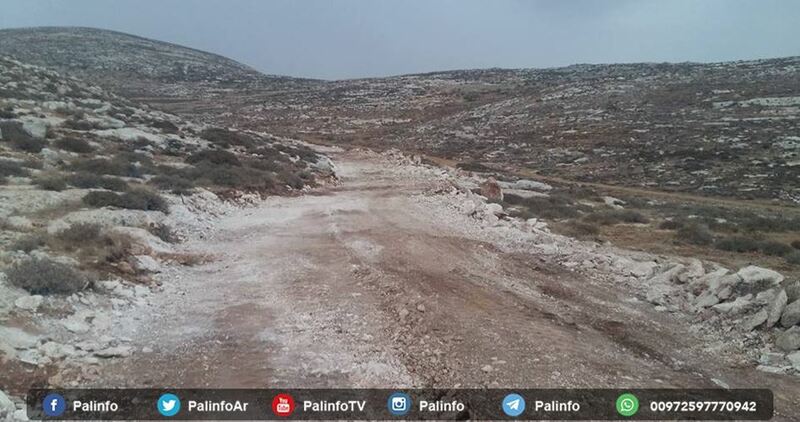 The occupation troops further sealed off the entrances to Salfit city, along with those leading to the villages of Aboud, Deir Abu Mishaal, and Umm Safa. A PIC news correspondent said though firefighters extinguished the wildfires in Halamish settlement at the early evening hours, the occupation army has kept a tight rein on the thoroughfares leading to Palestinian towns and villages in the area. About 1,000 Israeli settlers were evacuated from the illegal Halamish settlement, built on Palestinian lands in Ramallah, as 45 housing units were allegedly damaged by the fire. The Israeli Occupation Forces (IOF) closed Saturday two roads leading to the Ibrahimi Mosque in al-Khalil. As a result, Palestinian movement was restricted in both directions. The Israeli military restrictions came few hours after a group of settlers attacked Palestinian residents in the Old City, injuring three of them. 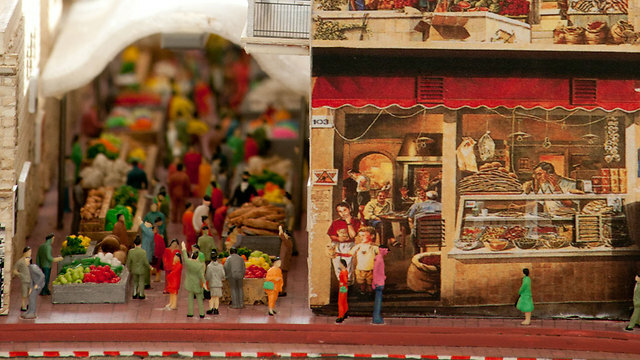 The model will be part of a permanent tourist attraction in Times Square called Gulliver's Gate, which is a 'mini world' display; the model includes the Temple Mount, Mahane Yehuda Market, and the Chords Bridge among other sites in the city. 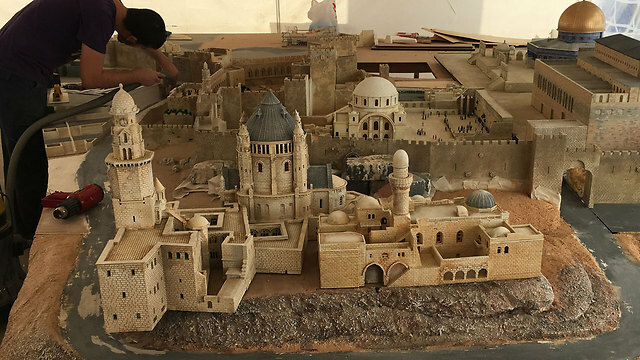 A giant model of Jerusalem featuring the Temple Mount, the Tower of David, the Knesset, the new Jerusalem Light Rail and the soon-to-be-completed pyramid skyscraper, will be placed in Times Square in New York as part of the Gulliver's Gate "mini-world" project. The 100-square-meter model was designed and constructed by Israeli company Mathov Designs. The model will be shipped to New York in three weeks in three shipping containers, where it will be rebuilt by the company. 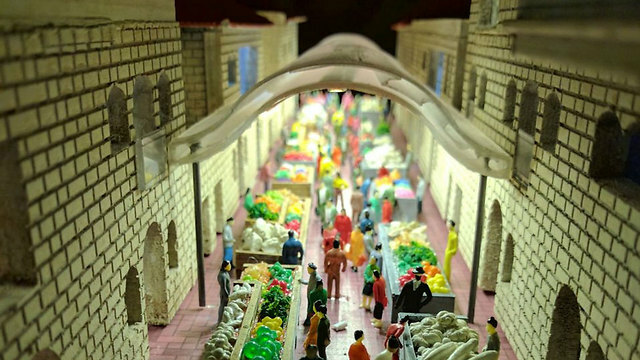 "The project was initiated by a group of people who rented two huge floors in a building in Times Square, where they plan to create a permanent tourist attraction—a miniature world," said Gadi Ma-Tov, the founder of Mathov Designs. "The idea is to show old and new Jerusalem. We built models of the pyramid building on Eden Street which is still under construction and the old train station. It's not an exact model of the city," he said. In addition to the aforementioned sites, the model also features the Cedar Valley, the new high-speed train bridges, the old Arab village of Lifta, the Chords Bridge, Mahane Yehuda Market, the entrance to the city, the Nahlaot neighborhood, the Nahalat Shiv'a neighborhood, the Russian Church of Mary Magdalene, the Italian Hospital and the Supreme Court. Israel’s public security minister Gilad Erdan said Israeli Ministers and MKs will regain permission to break into the al-Aqsa Mosque, Haaretz reported Tuesday. 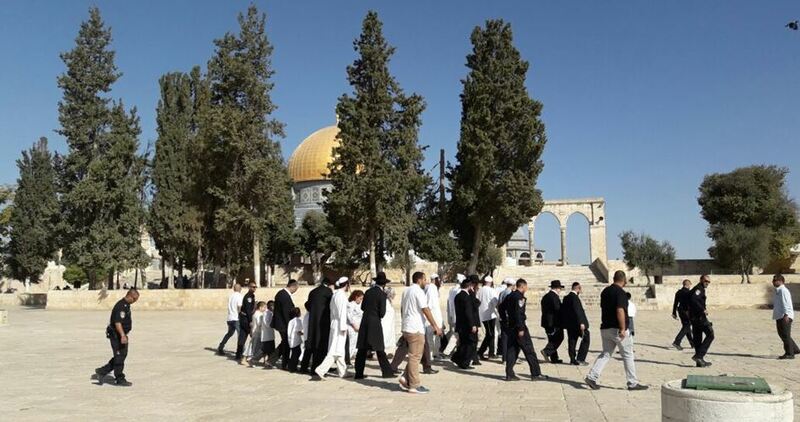 Erdan was quoted as stating that police will soon give a go-ahead for the Israeli ministers and MKs to visit the al-Aqsa Mosque and defile its plazas. “The police think, based on its professional evaluation, that visits may be renewed under certain conditions, including that MKs give several hours advance notice,” said Erdan. When visits are renewed, he added, attention must be paid to the timing, so that they don’t happen in a period of unrest and provoke more instability. A ban on Israeli ministers and MKs has been in place for several months under the recommendations of the Israeli PM Benjamin Netanyahu after tension has reached a peak in the occupied Palestinian territories. 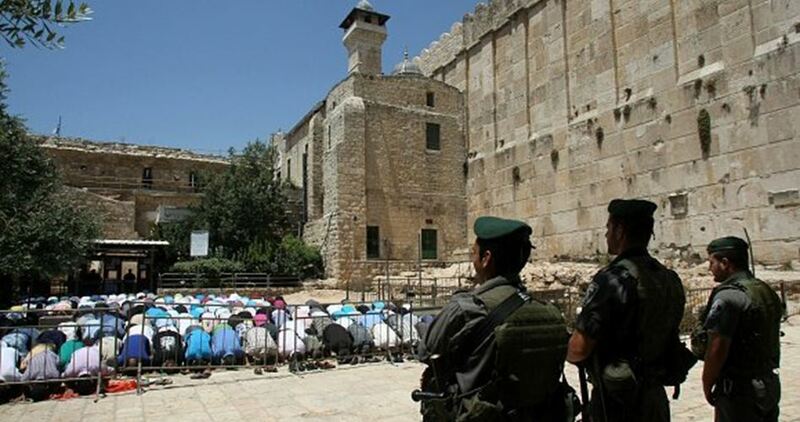 Israeli fanatic settlers have, meanwhile, been forcing their way into the Mosque on a quasi-daily basis. 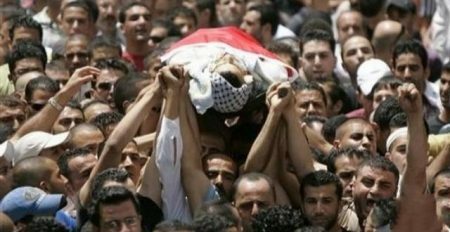 A statistic prepared by the Jerusalem Institute for Israeli and Palestinian affairs has shown that the number of Palestinians who have been killed, since the start of the Al-Quds Intifada (Jerusalem Uprising), which broke out in October of 2015, has now reached 265. PNN reports that, according to the statistic, the Hebron district topped the list of provinces with 78 deaths, followed by Jerusalem with 57 deaths. Then, Ramallah with 24 deaths, and Jenin with 21, Nablus with 19, Bethlehem with 15, Tulkarem with 5, Salfit with 4, and Qalqilya with 3 deaths, two Palestinians living in “Israel”, and 34 from the Gaza strip. 119 of these people were killed since the beginning of the year 2016. In addition, 75 of those killed were children under the age of 18, making up 29% of the overall number. This includes three-month-old Ramadan Thawabteh, who died of teargas inhalation in his hometown of Beit Fajjar, near Bethlehem. 24 of the slain were women, 12 of them minors as young as eight years old, including a two-year-old, Rahaf Hassan, who was killed alongside her mother in Gaza. The study confirmed that 80% of the families had found about about their relatives being killed through the media, while over 86% expressed dissatisfaction with the institutions that follow-up with the cases, accusing the media of failing to cover news about the incidents. 24 bodies are still retained by Israeli authorities. The Israeli government reportedly intends to change the historic names of Jerusalem landmarks into Israeli ones, Hebrew channel 7 reported. 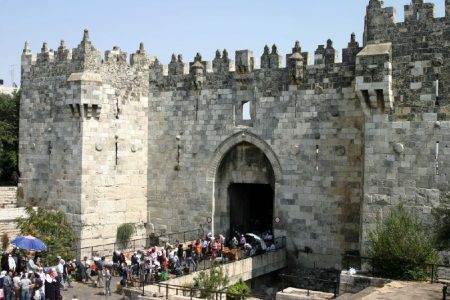 According to the site, the government will change the name of Damascus Gate, one of the most ancient gates of Jerusalem, to “Heroes Square”, in honor of Israeli settlers and soldiers. Al Ray further reports that the Israeli committee for commemorating the victims of terrorist attacks, in cooperation with Israeli municipality of Jerusalem, are agreed upon changing the names of some streets in Jerusalem, as well. It will change the names of two streets for settlers who were killed in al-Wad street. It will also change the names of some streets in the Old City. The Israeli municipality in Lod city, within the Green Line, fined a Palestinian imam for using loudspeakers to broadcast the call to prayer (Adhan), Haaretz Hebrew newspaper reported Monday. 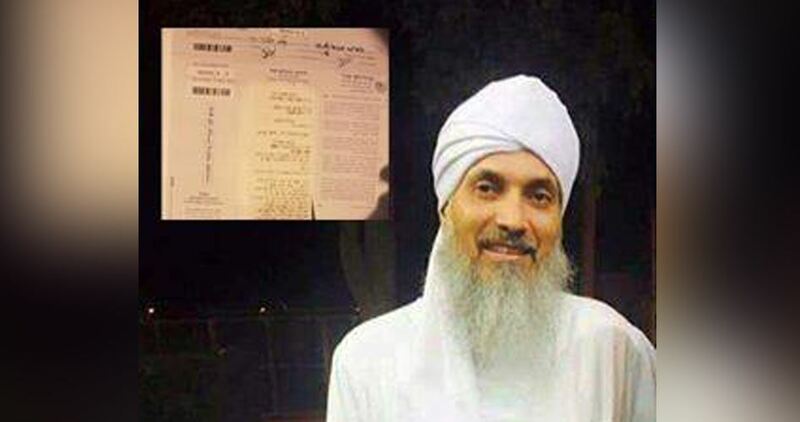 A penalty of USD 197 was imposed on the Imam Mahmoud al-Far for using loudspeakers to call out the Adhan during night time, the newspaper said. The Israeli municipal authorities in Lod have fined the imam for violating an existing Israeli “pollution and nuisance law,” which restricts the volume at which mosques can use loudspeakers to call out the Adhan, the newspaper reported. The penalty came after the Israeli Ministerial Committee on Legislation approved the draft legislation, which calls for barring the use of loudspeakers during the Adhan, moving it to the Knesset where it is expected to go through several readings before making it into law. Howevder, Israeli Minister of Health Yaakov Litzman appealed the bill, effectively postponing Knesset consideration of the draft legislation until further notice. 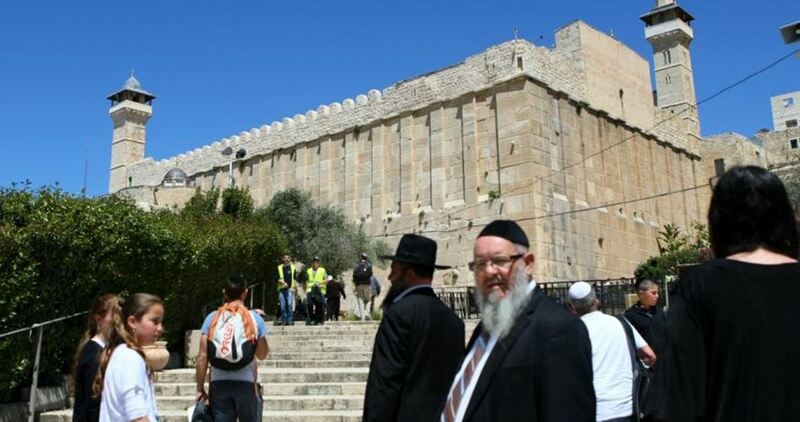 Litzman argued that the current phrasing of the bill would not only affect the use of loudspeakers for the Muslim call to prayer, but also the use of sirens on Friday evenings to announce the Jewish holy day of Shabbat. Hordes of Israeli settlers on Monday morning set the foundations for a new illegal settlement outpost in al-Sahla area, to the south of the Ibrahimi Mosque, in al-Khalil. Head of al-Khalil rehabilitation committee, Imad Hamdan, said Israeli settlers set metal foundations on a Palestinian pitch near al-Ibrahimi Mosque, paving the way for the construction of an Jewish-only ghetto. According to Hamdan, the Israeli project covers an area of up to 500 square meters. Earlier, the Israeli occupation army seized parts of the pitch and turned it into a military site. Hamdan added that the move makes part of underway attempts, by the occupation authorities and settler gangs, to crack down on the Palestinians and force them out of the area so as to facilitate the misappropriation of their land and speed up the Judaization of the occupied territories. The al-Ibrahimi playfield is located in al-Sahla area, in al-Khalil’s Old City, in the southern occupied West Bank. 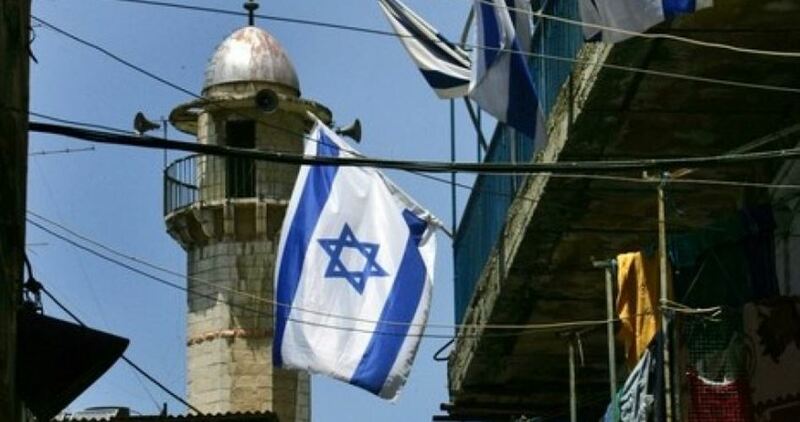 A group of extremist Jewish settlers on Sunday took over a Palestinian house belonging to al-Bakri family in Bab Hitta neighborhood near the Aqsa Mosque. 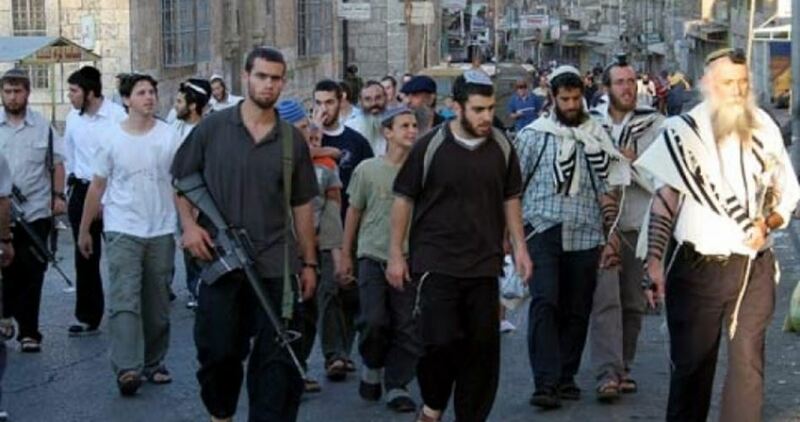 Local sources said that Israeli policemen provided protection for the settlers and help them to seize it. The settlers claim they took possession of the house illegally. There is still no comment from the Palestinian homeowner on this takeover.